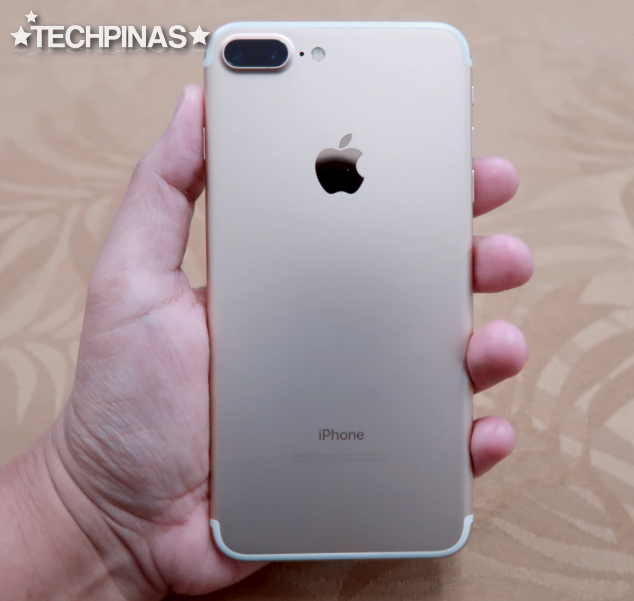 "We did our best to bring the new iPhone 7 and 7 Plus to the Philippines as soon as we can. I know lots of Pinoys are big Apple fans and Team Kimstore wants to serve them. 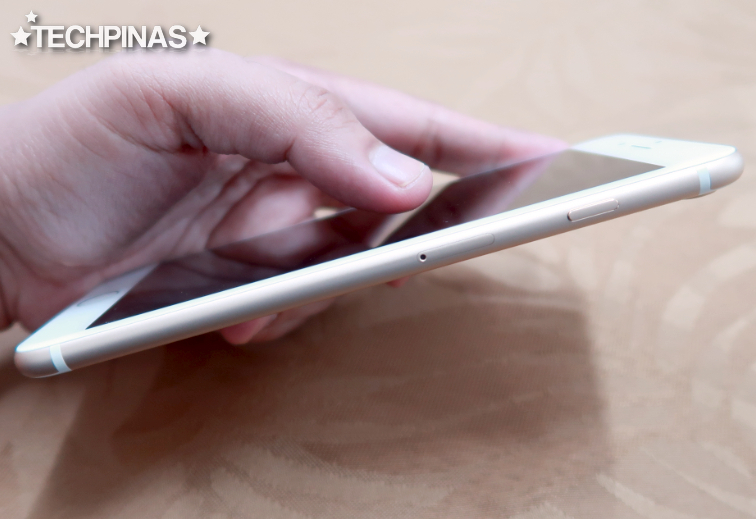 We want to give them the chance to own these handsets ahead of everyone else." That's what my friend Kim Lato told me when she invited me to visit her business' headquarters in Manila a few days ago for this unboxing. 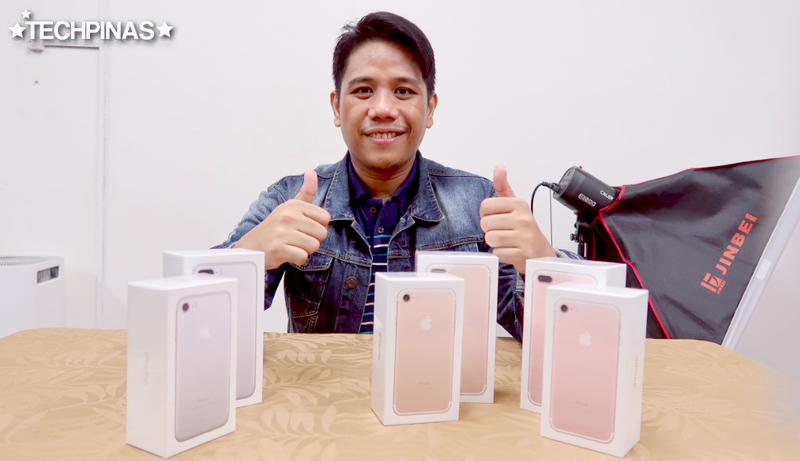 It's really no wonder that Kimstore has become the trusted online store of thousands upon thousands of Filipino Apple enthusiasts and followers across the country and beyond. Kim's dedication to her customers is outstanding. Thanks for inviting me over, Kimmy! Earlier, I showed you the Apple iPhone 7 retail package. 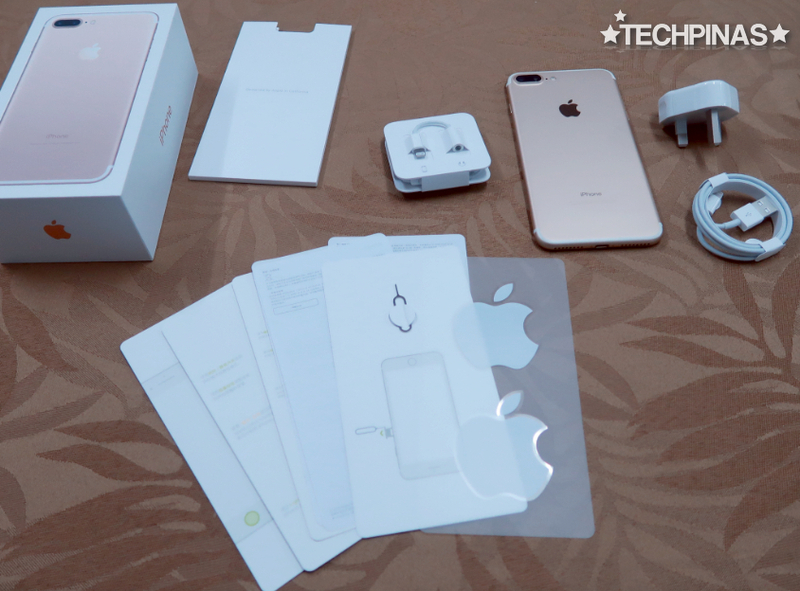 Now, let's check out the complete Apple iPhone 7 Plus pack. 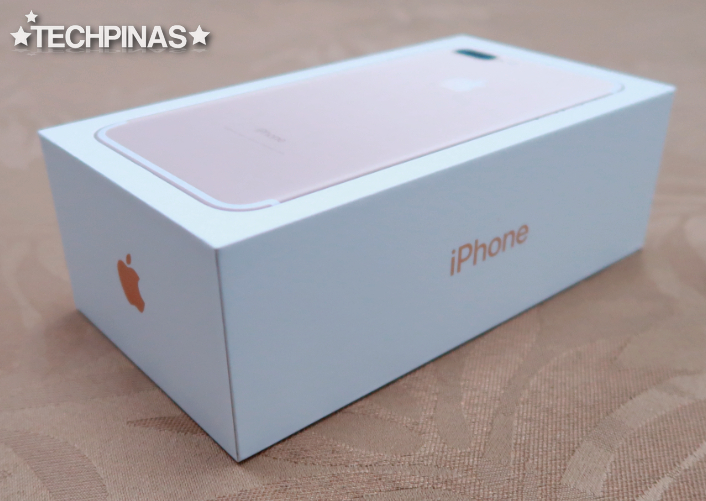 This box design is merely a larger version of the one housing the iPhone 7. 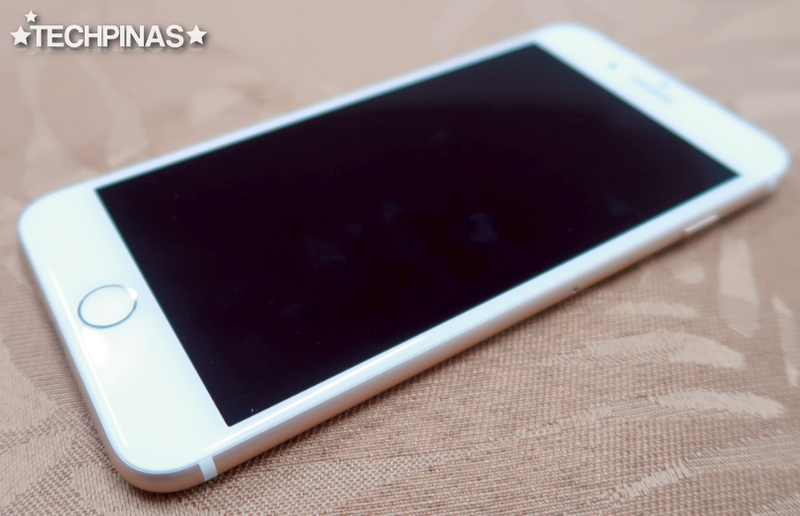 An image of the back of the handset is printed and embossed on the top of the case. The iPhone name is print on the left and right panels of the box and you'll find the Apple logo on the top and rear faces. I have the iPhone 7 Plus 128GB Gold version. 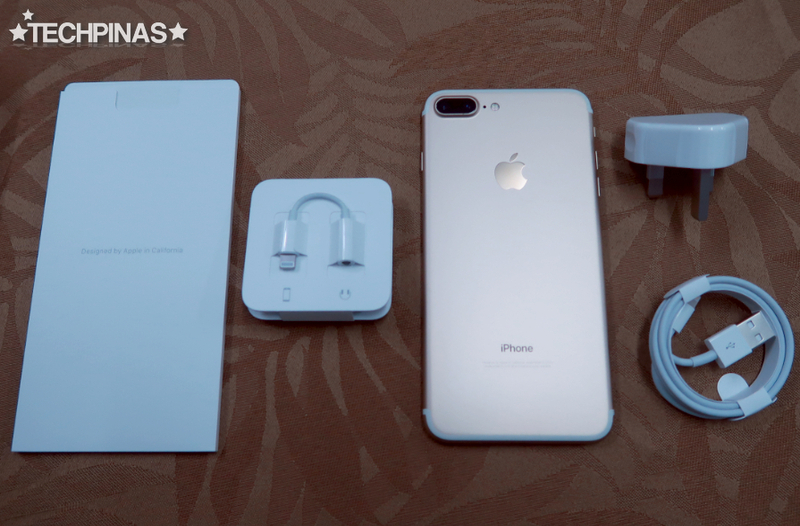 The standard Apple iPhone 7 Plus retail package includes the unit itself, the travel charger, USB to Lightning cable, the sleeve containing documentation, Apple Earpods with 3.5mm audio jack to Lightning port adapter. 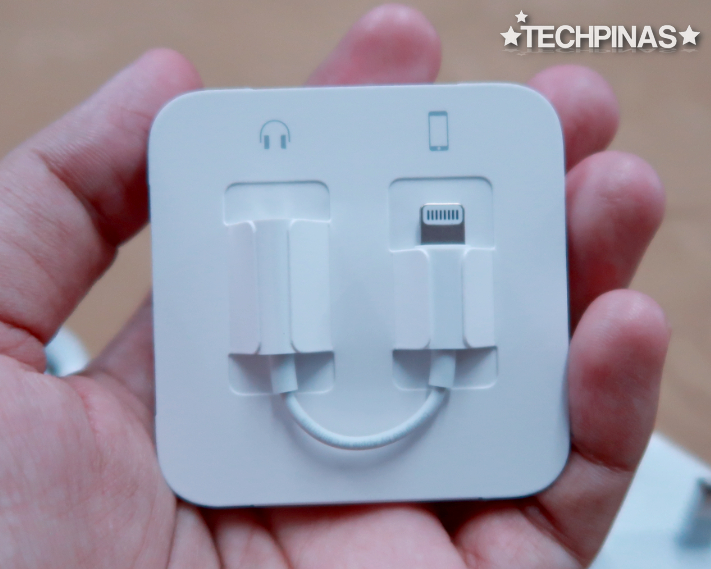 The Apple iPhone 7 Plus just like the iPhone 7 lacks a 3.5mm audio jack so this adapter is necessary if you want to use the pair of earphones that's in the box. This also works with other wired headphones out in the market. If you don't want to use this, though, you can always get the new Apple Airpods or any Wireless Bluetooth Headset. 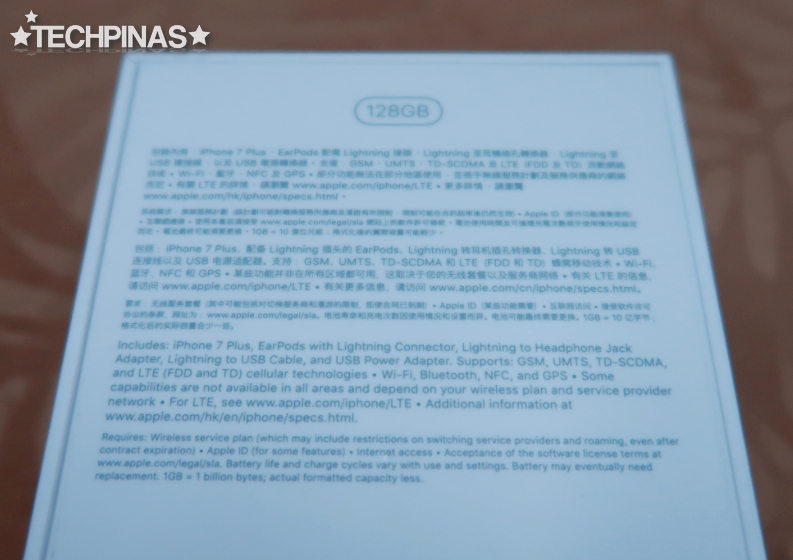 The paper sleeve contains the user guide, warranty information, pin for ejecting the SIM card tray, and a couple of Apple stickers, which everyone loves. Alright! 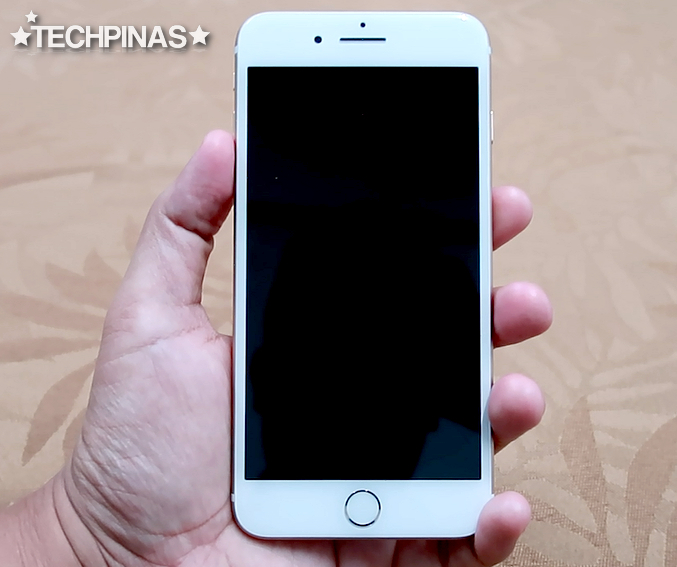 This is how Apple iPhone 7 Plus looks in the flesh. This IP67 Certified Dust and Water Resistant device is equipped with a 5.5-inch Full HD Retina Display, 3D Touch Technology, 7MP front facing FaceTime HD camera with Retina Flash, Full HD front video recorder, 4G LTE support, Stereo Speakers, and a 2,910 mAh non-removable battery pack. Underneath its aluminum shell, Apple iPhone 7 Plus runs iOS 10 right out of the box with the beastly Apple A10 Fusion processor (delivering top-notch 3D gaming experience on any mobile device currently), has 2GB of RAM, and comes with 32GB, 128GB, or 256GB internal storage options. 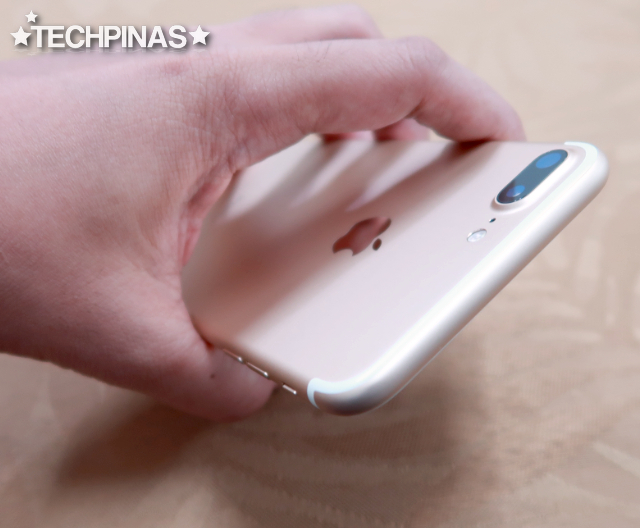 Design-wise, the iPhone 7 Plus has the same overall look as its predecessors, the iPhone 6 Plus and 6s Plus -- donning a real metal frame, curved glass face, a rectangle-with-curved-corners footprint. However, aesthetically, the new release is also different in a number of ways. 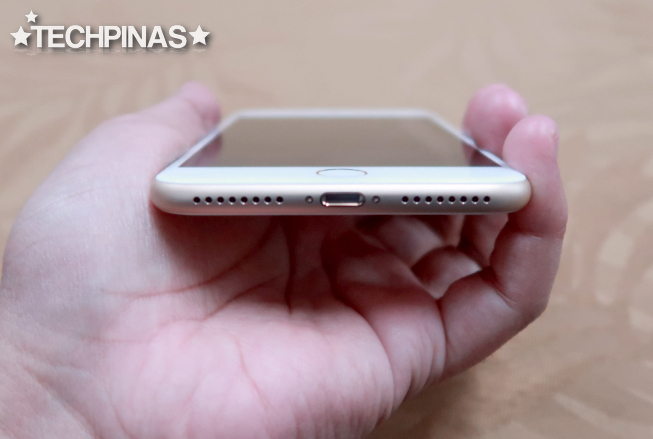 As I've said, unlike the iPhone Plus models that preceded it, iPhone 7 Plus lacks a 3.6 mm audio jack at the rear. It also has less antenna bands at the back, making it look a tad more neat I think. On top of its home button in front is no longer clickable; Instead, it just gives a tactile feedback when you put your finger on top of it. And most notably, it has a Dual Optics camera module, which is a first in the company's smartphone line. The 12 MegaPixel f/1.8 autofocus main camera is complemented by a secondary telephoto lens that allows the shooter to have two-times optical zoom and lets it shoot images with that eye-catching and interesting bokeh or shallow depth of field effect. 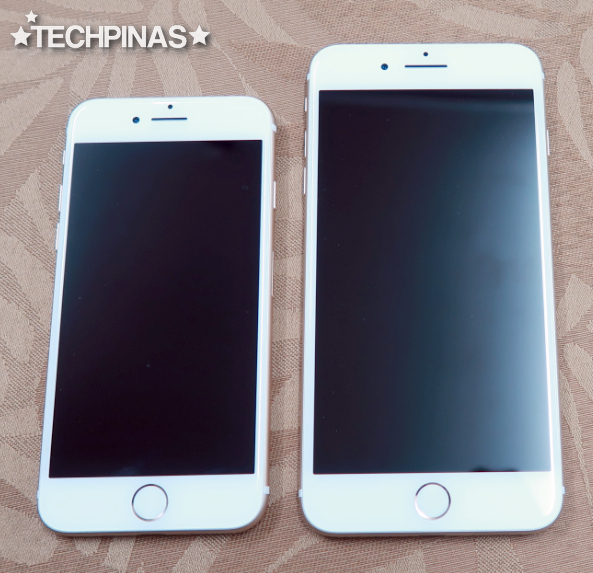 As I've mentioned previously, between the Apple iPhone 7 and the Apple iPhone 7 Plus, I prefer the larger one if only because of its imaging capabilities, which are unique - at least, within Apple's own line of products. 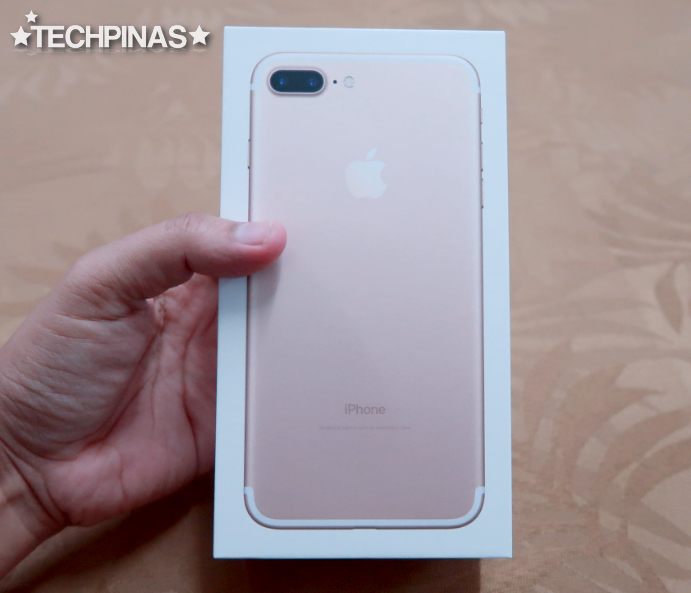 Apple iPhone 7 Plus is now up for purchase at Kimstore. 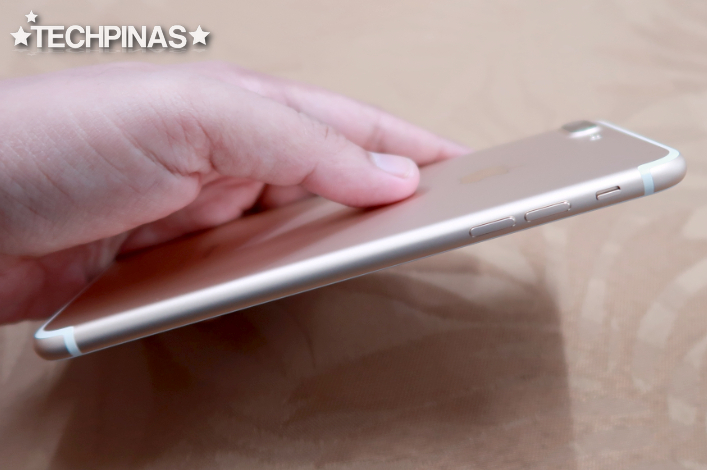 As of today - September 25, 2016, prices start at Php 52,000 for the 32GB version.